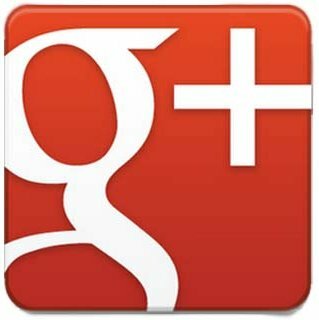 Should businesses use Google+? Here are 10 good reasons we think they should. 1- Google+ isn’t a space for temporary, limited, 140 characters updates like Twitter. And its not for meeting up with people like Facebook. What makes it different is that Google Plus is promoted by the biggest technology platform on the planet. This should be taken advantage of, because what happens on G+, will be prioritized by Google. 2- Google+ in only a year and a half it grew exponentially and established itself as the second biggest social network in the world. You have the chance to be part of this new social network. Remember Twitter’s story? At the beginning no one was sure about how to use it or why to use it. But, the brands that got there first got the best part of the deal. 3- Everything you post on G+ is immediately indexed by Google. Thus, influencing search engine results positively. We know this is huge for companies and professionals, because the websites that appear on the first page of Google, and especially in the first few positions, get 54.8% of all clicks from users, according to a study by Optify. 4. Entering the world of Google Plus means having a great deal of resources in one single place: Hangouts, Communities, Youtube, Google, Gmail, Google Maps etc. Each of these was created to benefit and optimize your marketing strategy and take your brand even further. 5. Google is offering you an innovative way to relate to the world in general. Through the personalization of Google’s search engine, they give you the opportunity to find specific information related and adjusted to your interests, preferences, and to those of your social environment. 6- The +1 button allows people to establish what’s trendy, beyond those robotic algorithms that rank a website. According to Hubspot after analysing more than 5 thousand websites it was revealed that the sites that use the “+1” button get 3.5 x more visits on Google+. 7- Because you can add authorship to your content. In a few words and in order to make it simpler, this puts your profile picture next to your content in Google search results. It also allows you to build up your status and foster trust among users, thus affecting the amount of clicks you get, the traffic, and the visit volume. 8- Your brand can participate in different communities, (which can’t be done on other social networks).This means you don’t have to sit around waiting for users to wind up on your page, instead, your brand can go around the world actively connecting with people. On G+ it’s easy to connect with prospective customers by finding them in groups that share the same interests as your brand. This is just one example and the strategy can actually go much much beyond that. 9- You have a great resource for connecting with your customers and your audience in a totally new and unique way.